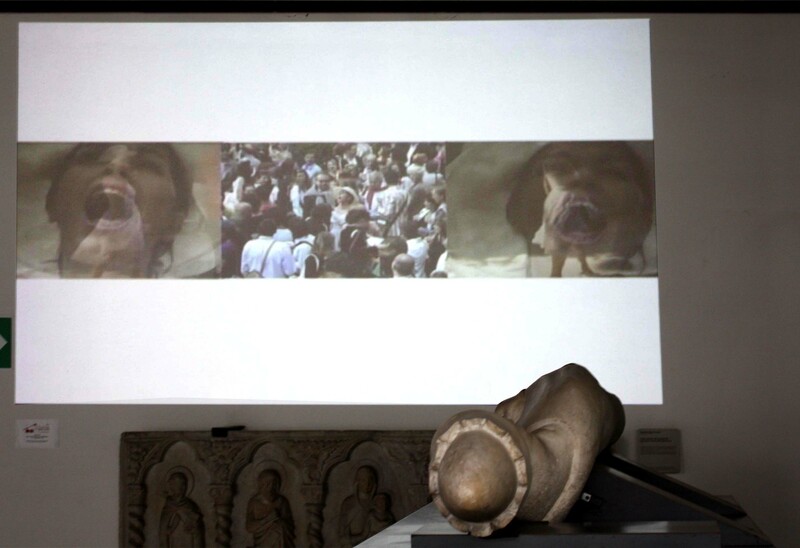 Side by Side is a project that reflects the simultaneous vision of the opposing sides of life, conscious and subconscious, form and non-form, primitive magnetic force Vs structures of our society. 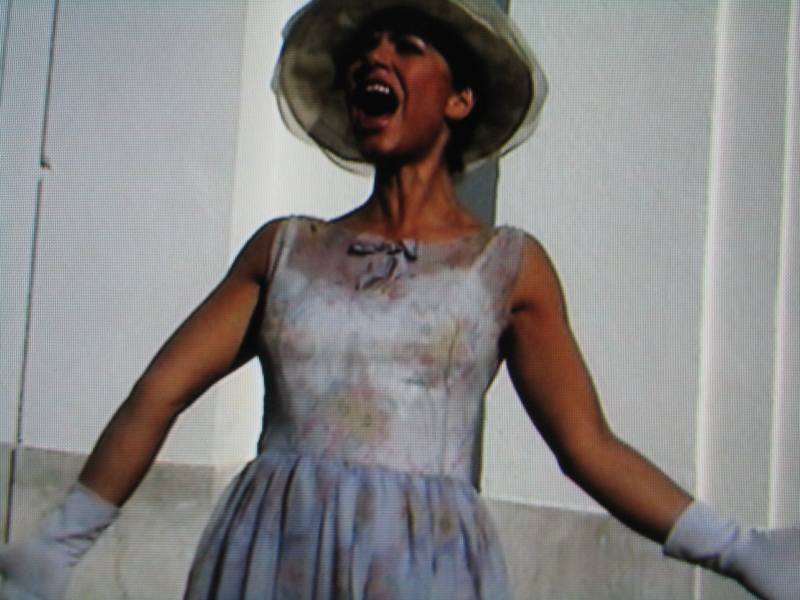 The performance takes place at the opening of the Venice Biennial, 2005. Like a normal visitor, LIUBA visits the show with an elegant and royal walk, dressed in a chic opening outfit, when suddenly the artist breaks out in a powerful and intense scream, that emerges from the chest and penetrates the air. A scream that blows out everything, that comes from far-away unexplored territories and plunges on the surface, crossing every barrier. It is neither a scream of pain, nor of liberation, it is simply a volcanic eruption of an underneath compressed force that belongs to us and works deep inside. It is not a scream of a man’s trepidation in front of pain, nor a scream for help, nor a scream of liberation of the subconscious from the structures that tie it down. It is simply a scream that explodes, an explosion of the forces that exist but are invisible. It is a revelation of a hidden, profound level of a magmatic compressed energy, that exists by our side, by each individual and society. It is an ‘epiphanic‘ scream, that turns into visible the presence of something invisible. Side by Side shows the two sides of the coin that intercept our existence. “I am also thinking about the scream being a taboo today. No one can scream anywhere. If one does it, it breaks all rules, it is impossible. And if you scream, it means something has happened, it draws everyone’s attention. On the contrary, my scream is for free. After the scream nothing happens. Putting myself together immediately, I go onto walk elegantly, as if nothing happened. A scream that appears and disappears, like a volcano or the thunder, lightning of the subconscious of our life. 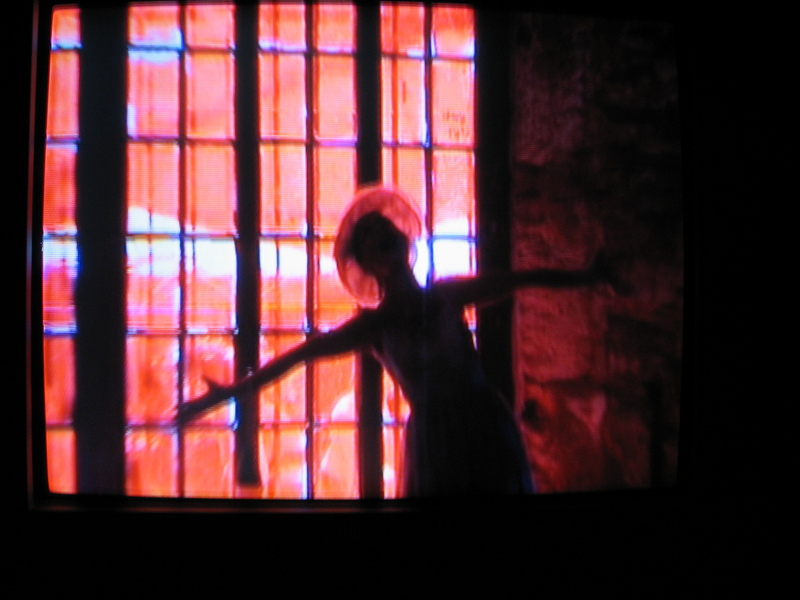 The video produced from this performance is a three-channel video installation. The entire project is still in progress and today only the first part of this installation is fully completed. 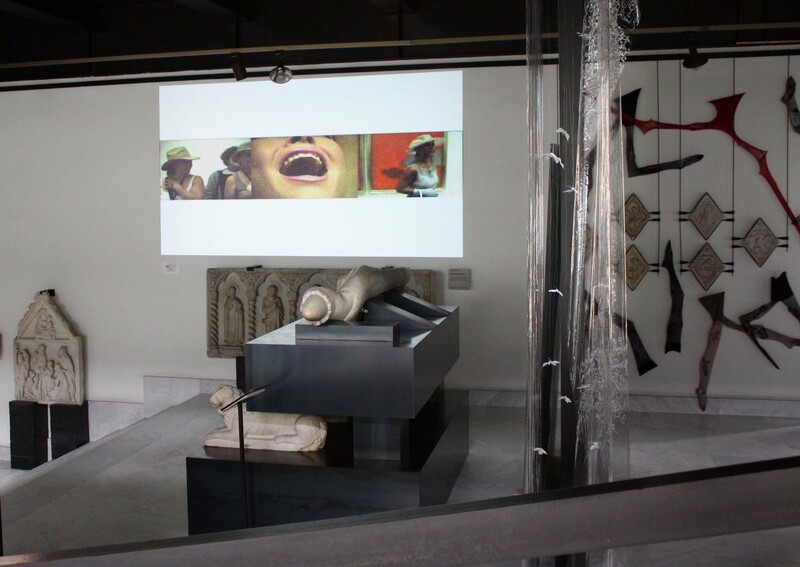 The video installation Side by Side -part one was exhibited at the St. Augustine Museum of Medieval Sculpture in Genoa in 2010. 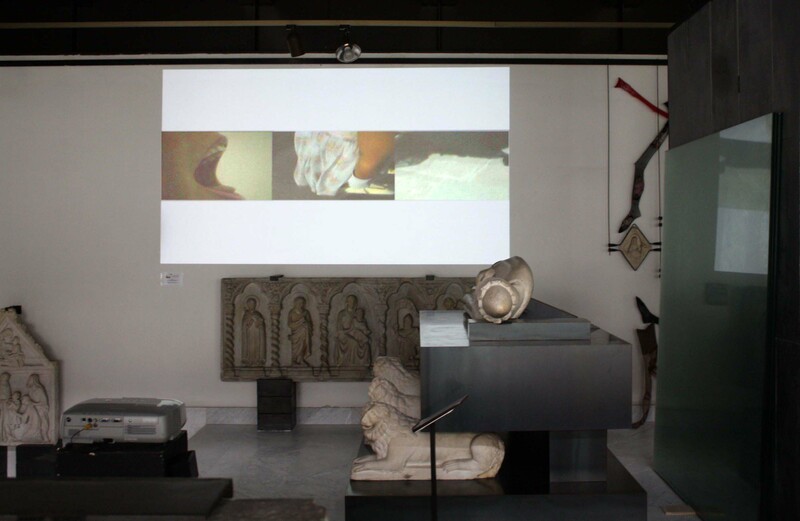 The coexistence of the three channels video with sculptures by medieval artists as Giovanni Pisano was very impressive, LIUBA vital and carnal scream resounded misteriously among the ancient works of the museum.